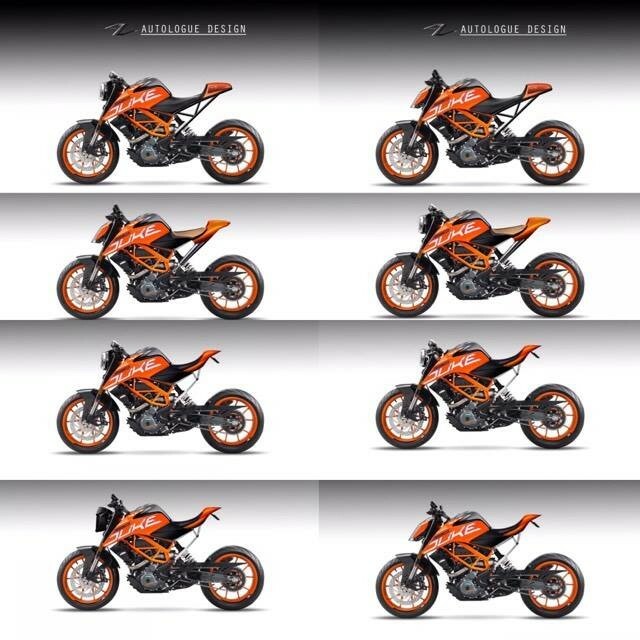 Barely a weekend ago, KTM India launched the updated Duke range, and it has already hit the virtual chop shop. 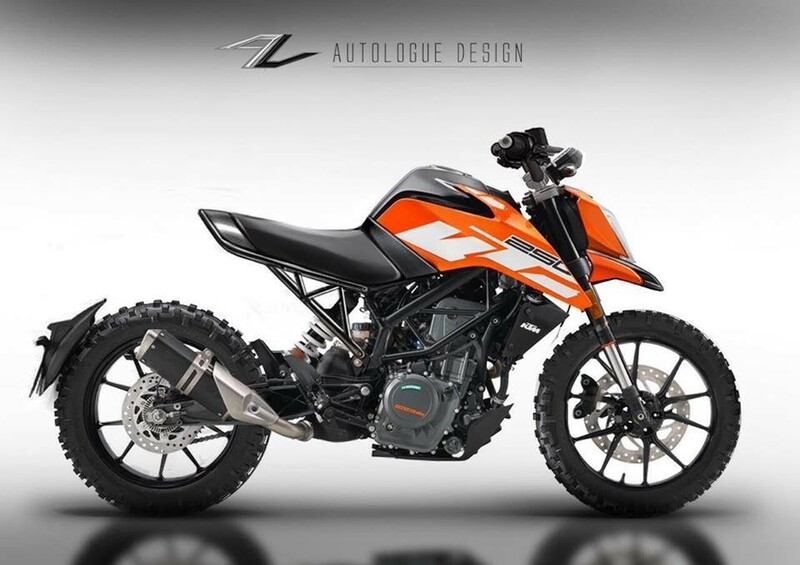 Autologue Design has previewed these kits based on the new KTM 250 Duke, which will be put into production soon. 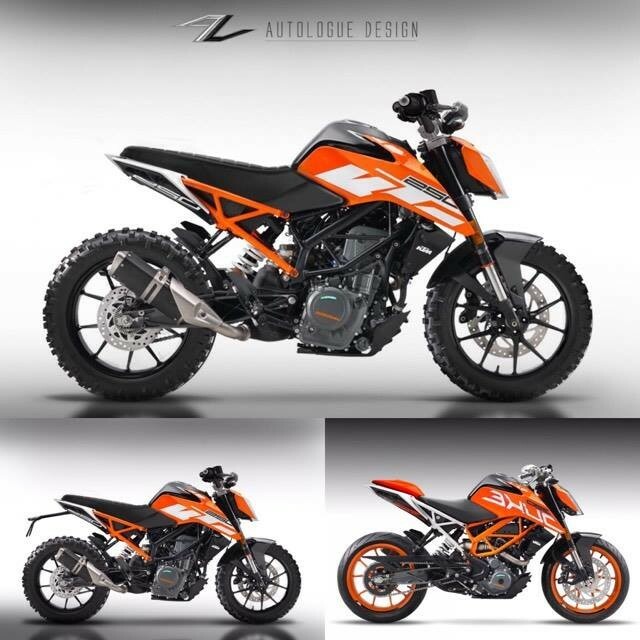 The Pune based vehicle customisation shop has showed a myriad of 250 Duke derivatives via renders, mostly bordering on scrambler and cafe racer themes. The cafe racer derivatives get clip on handles and additional cowls, while the scrambler derivatives get knobby tires and a different set of handlebars. 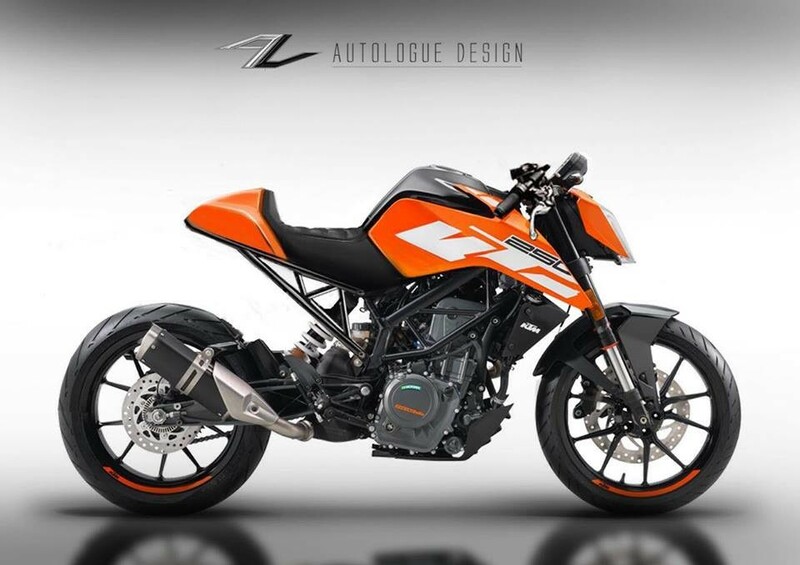 A chopped single seat 250 Duke with a bolt on sub-frame [Note: Render based on Euro-spec model; India-spec models do not feature ABS]. Autologue Design is also working on some sub-frame modifications for the 250 Duke that will be bolt on fitments. The scrambler kit with just a seat and handlebar would cost INR 10,000, while if you opt for the Ralco knobby tyres, that’d be INR 6,000 for a set. The cafe racer kit will also inlcude a clip on handlebar set and a cowl for about INR 10,000, while the new sub-frame options will come with a single seater option like the 790 prototype – that would be about INR 15,000. The off-road front fender modification will set you back by aroud INR 4,000. The 250 Duke, priced at INR 1.73 lakh (ex-Delhi), is powered by a 248.76cc single cylinder, liquid cooled engine. Power on this one is rated at 30PS @ 9000 rpm and 24 Nm @ 7500 rpm. Transmission is taken care of by a 6-speed constant mesh unit. Other highlights include a slipper clutch and WP suspension. We’re riding the new KTM 250 Duke today. Stay tuned for a detailed review soon!